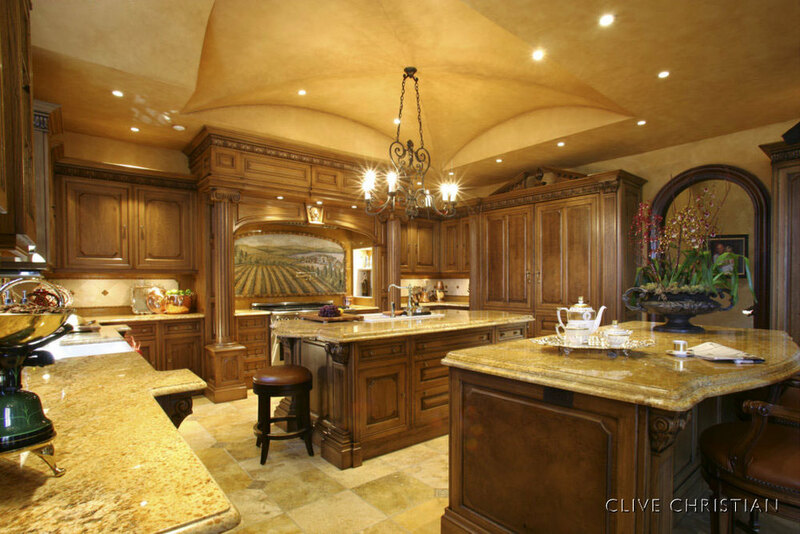 December 30, 2013 Daniel G.
For many people, their kitchens are the most-used spaces in their homes. It’s not surprising then that these rooms require regular cleaning. Sinks, countertops and floors are all subject to spills and stains that mar the appearance of an otherwise beautiful home. Here are some ways to keep your kitchen looking its best. All kinds of stuff gets thrown into sinks, and often much of its residue stays there. Regardless of the type of sink you have – porcelain, stainless steel, cast iron – you can beautify it with a little daily care. Cleaning the sink regularly with a soft cloth and a mild cleaner such as dishwashing soap will remove soap scum and unsightly food particles. For stubborn stains, try Mr. Clean Magic Eraser – it works great! Once a week it’s a smart idea to do a deeper cleaning. Just empty the sink and plug it, fill it with hot water, add a cup of bleach, and wait for an hour. Take out the plug (wear rubber gloves) and let the water drain. Sprinkle some baking soda on the surfaces, scrub with a sponge and wash off. This not only makes your sink look marvelous, it also kills off any bacteria that might be growing. Depending on how much you cook and assemble food, your countertops can end up looking like those in a cheap all-night diner. Prevent this by wiping down your counters after each use. Water and mild detergent will do the trick. Also, remember to dry thoroughly to prevent the growth of bacteria, which thrive on dampness. When cleaning countertops made of any material, it’s always best to use cleaners and sponges that are non-abrasive. For example, ammonia and bleach can destroy the sealant in concrete countertops, and the glue in wood countertops can be damaged by vinegar. Finally, if you have natural stone countertops, it’s important to wipe up spills quickly before they sink into the porous surface. Microfiber cloths are ideal for spills on these kinds of countertops. A kitchen floor is going to get dirty, no matter what you try to do to prevent it. Stay on top of it with sweeping or dry-mopping every couple days. Traditional wet-mopping should be done once a week. If your floor is ceramic tile, warm water and a small amount of dish soap will produce a good mopping solution. Never use scrub pads on ceramic tile. Natural stone floors can be scratched by dirt, sand and other materials. Castile soap products are a good choice when mopping these floors, while acidic cleansers such as vinegar or lemon juice are not recommended. Wood floors need to be mopped with a damp mop (not wet – water can seep into the wood) that contains a small amount of dish soap or a cleanser recommended by the floor’s manufacturer/installer. For laminate wood floors, use a cleanser specifically designed for this material. For linoleum, regular mopping probably won’t be enough to clean out the dirt that collects in the flooring’s grooves. This job will require you getting up close and personal a couple times a year, using a small brush to make the grooves look like new again. In all these jobs, if you’re in doubt about the safety of any cleaning solution or method, contact the manufacturer of the sink, countertop or floor, or consult an expert at your local home center. Keeping a kitchen looking great doesn’t take magic. All it takes is the determination to not let it get out of hand and a commitment to setting aside the time necessary to give this much-used part of your home a little TLC.